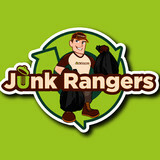 Our Metro Vancouver junk removal company, Junk Rangers Junk Removal Inc., is an entrepreneur-led local business. We aim to provide the most memorable rubbish removal service in town - be it residential, commercial or construction waste removal. We have been, and will continue our style of ‘going above and beyond.’ For example, we always: Charge by weight, not by space used in the truck: This leaves arguments about cost out of your junk removal experience. It also has the potential to save you money. On that note, we aim to be affordable with our junk removal prices. Perform extra services at no additional charge: We break down furniture for you, and we bring the tools and safety gear to do it all quickly and efficiently. We will move furniture around to get to your junk, and put it back in its spot. We don’t require you to ‘park’ your junk somewhere convenient for us to pick it up. We do all the hard work, and the dirty work, of junk removal - even in Vancouver’s rainy weather! And yes, we are insured, and take good care not to damage your home or other belongings. Recycle and donate: You don’t have to worry about sorting through your junk, or feel guilty it’s going to waste, if still useful. 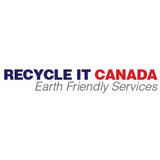 We handle recycling and donations for you. We care about the environment! Show up with clean uniforms and smiling faces: It’s the little details that count. You can be sure that if we’re taking care of our appearance in front of you, we are taking care of your belongings as we do our job. And, we love doing our work with a smile, because we want you to remember us. Fresh Start Recycling and Disposal Ltd. is more than just a junk hauling company. Recycling and disposal is our business, yes. However, helping our community thrive is our heart. We're dedicated junk haulers who use our talent for cleaning up big messes to create opportunities for growth in our community – particularly Vancouver's Downtown Eastside (DTES). Our approach to every project is simple: we show up on time, sort thoroughly, recycle conscientiously, and haul efficiently. Our dedicated crew completes every task meticulously and leaves every site with a smile. Keen on Green Disposal & Recycling Inc. Keen on Green is a full-service junk removal company with a focus on minimizing our footprint on the environment. Our professional staff picks up junk from households, construction site and businesses throughout Vancouver and the Lower Mainland. Keen on Green also offer bin rental with flexibility and wide range drop off and pick up times. We have various sizes of container (7 - 30 yd) to accommodate our clint's needs. Keen on Green specializes in recycling various materials such as general construction waste, wood, green waste, furniture and even drywall. Thoughout the years, we have diverted over 3 millions tonnes of waste from the landfills. 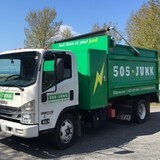 365 Junk Removal is a low cost hauling and clean up service that is offered to residential, multi-family and commercial customers in the Greater Vancouver Area. Call (604) 365 – 0428 to get a free quote or book an appointment. Asbestos Removal and Demo in Vancouver is the most-established asbestos removal company in the Vancouver area. Our mission is to constantly deliver top-quality asbestos removal work at fair pricing. We deliver work that brings back the safety and wellness of your home or business. Your property gets the assistance it requires from our asbestos removal crew. As the leading company for asbestos removal, we transform homes and businesses back into the safe and healthy work and living spaces they once were. We are the top Vancouver professional asbestos contracting business that focuses on managing asbestos and mold removal jobs at great prices. We work alongside our customers to improve their properties, utilizing innovative techniques in order to get the job done. The process for getting asbestos removed from your home or business has never been easier. We begin by identifying your asbestos issue and then carefully guiding you through the asbestos removal process that will work best. Our team delivers expertise and attention to detail in every asbestos abatement project they undertake. We understand it is not easy finding a Vancouver asbestos removal contractor you can trust, but our staff is dedicated to receiving your trust by providing you with topnotch workmanship. Whether your job involves one room/area, or your whole property, we take the utmost care when removing asbestos from your home or business. Fleetwood Waste Systems Ltd (Est 1971) is a 100% BC Owned and Operated Roll-Off Bin Rental Company, which specializes in: Garbage, Recycling, Hauling, and Waste Consultation. Fleetwood Waste also provides Toilet & Fence Rentals. With a significant amount of experience working on job sites in the past, we can certainly attest to how critical it is to have any project done on time, on budget, with superior customer service, and with Fleetwood Waste we strongly feel we accomplish all of these goals. Whether you're renovating your house/business, to landscaping projects, we have an ample supply of bins ranging from 8 to 40 yard containers that will accommodate any project. 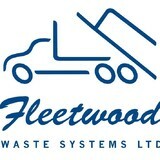 Thank you for considering Fleetwood Waste, and don't hesitate in contacting us should you have any questions/concerns. Take care. There are full-service junk removal companies in West Vancouver, BC that help with everything from clutter and hoarding cleanups to appliance recycling to donating unwanted items. Keep in mind that you may need professional help removing certain items from your home, particularly if they’re toxic or unstable. Here are some related professionals and vendors to complement the work of junk removal: Tree Services, Environmental Services & Restoration, General Contractors, Home Builders, Landscape Contractors. Find rubbish removal professionals on Houzz. 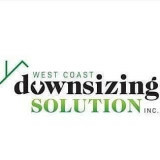 Narrow your search by city or zip code for a list of West Vancouver, BC rubbish removal services. Get contact information so you can ask about rates, and read customer reviews to find the best rubbish and trash removal service for your home improvement project.